Growing up on the beach is a fun time and a great way to remember the passing years is by taking beach photos in Gulf Shores. 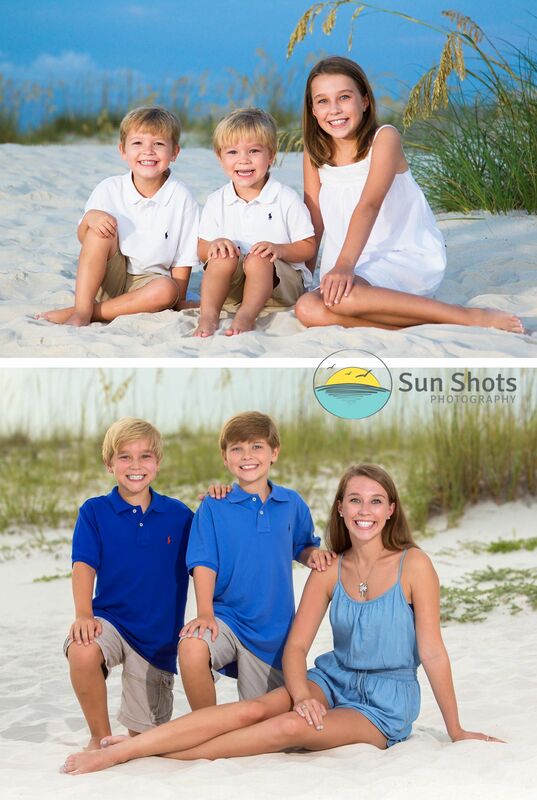 These three little beach bums have been coming to Gulf Shores their whole lives. We are lucky enough to be their professional beach photographers. We look forward to their beach session every time they visit. I understand growing up is a right of passage but if there was only a way to keep them little forever. It is easy to see with snapshots over time, but on a daily basis, we understand it is tough to live in the moment. Photography has taught me to cherish every single second. In a blink of an eye, they go from sleeping on your chest to deciding which college to visit. Before you know it those babies are handing you grandkids to cherish.